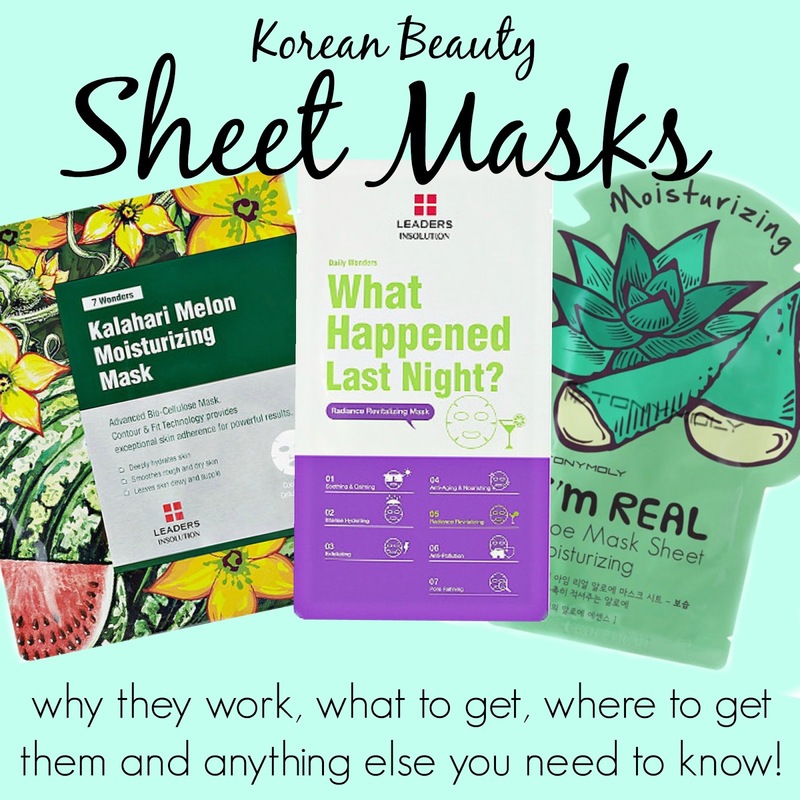 Korean Sheet Masks have been everywhere recently including on talk shows (like Ellen and The Fab Life) and the internet. K Beauty trends (Korean Beauty trends) have been making a huge splash in America. It is estimated that Korea is ahead of the rest of the world by about 5 years when it comes to innovation in their cosmetics and skin care. So when people become obsessed with these little K Beauty secrets, I always pay attention! 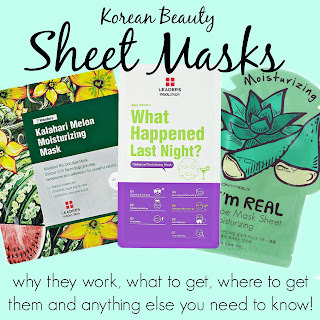 A recent one, is Korean Sheet Masks. Why do they work better? The idea is that a regular mask dries or hardens after a short period of time, and after it has hardened the beneficial ingredients either slow their effects or stop completely. 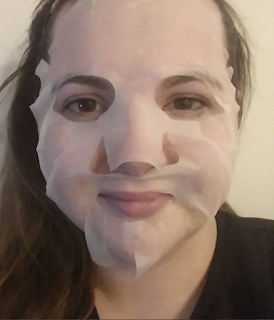 A sheet mask can use a potent gel or cream serum that the mask has been fully submerged in for months. When you put the sheet on it keeps the serum wet so that the ingredients work as long as you need them too! when it comes to these masks, there are hundreds of options, at all different price ranges. I tried 6 different brands; Tony Moly, Leaders, Kalahari, Benton, Karuna and Masque Bar. I found there were a few things that mattered to me when it came to these masks. I needed something that smelled good, that the effects lasted a long time after using, and the mask stayed on my face comfortable. There were a couple of these brands that I was constantly adjusting the mask on my face, it kept sliding and it was so big that the eye holes didn't really match up well and it was harder to use. The Karuna brand was the worst mask in the bunch as far as structure. I will say that I used the hydration masks for each of these brands (because my skin is so dry it flakes, and I could see the results instantly and retally measure them). While my findings may not be true of every single mask they carry I will say I have a favorite! Not only was my chosen mask the easiest to wear, and the best constructed mask in the group, the effects lasted about 1 week, it smells great and it is the least expensive in the bunch! 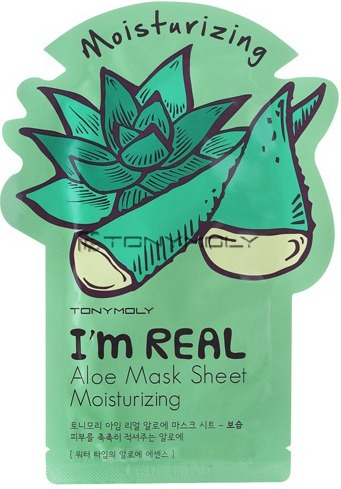 I am obsessed with the Tony Moly Aloe Moisture sheet mask! You can buy it online or at Ulta Stores int he United States.